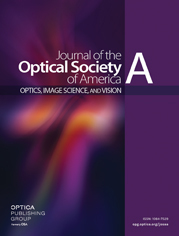 This paper discusses the performance and cost of two computationally efficient Fourier-based tomographic wavefront reconstruction algorithms for wide-field laser guide star (LGS) adaptive optics (AO). The first algorithm is the iterative Fourier domain preconditioned conjugate gradient (FDPCG) algorithm developed by Yang et al. [Appl. Opt. 45, 5281 (2006)], combined with pseudo-open-loop control (POLC). FDPCG’s computational cost is proportional to N log(N), where N denotes the dimensionality of the tomography problem. The second algorithm is the distributed Kalman filter (DKF) developed by Massioni et al. [J. Opt. Soc. Am. A 28, 2298 (2011)], which is a noniterative spatially invariant controller. When implemented in the Fourier domain, DKF’s cost is also proportional to N log(N). Both algorithms are capable of estimating spatial frequency components of the residual phase beyond the wavefront sensor (WFS) cutoff frequency thanks to regularization, thereby reducing WFS spatial aliasing at the expense of more computations. We present performance and cost analyses for the LGS multiconjugate AO system under design for the Thirty Meter Telescope, as well as DKF’s sensitivity to uncertainties in wind profile prior information. We found that, provided the wind profile is known to better than 10% wind speed accuracy and 20 deg wind direction accuracy, DKF, despite its spatial invariance assumptions, delivers a significantly reduced wavefront error compared to the static FDPCG minimum variance estimator combined with POLC. Due to its nonsequential nature and high degree of parallelism, DKF is particularly well suited for real-time implementation on inexpensive off-the-shelf graphics processing units. a Such grid sizes are large enough to accommodate LGSs as low as 80 km in altitude. a The number of operations is given in units of MMACs per frame, and memory requirements in units of megabytes (MB). The last column contains the formulas used for FD3o6 (letters refer to columns and numbers to rows). a The last column contains the formulas used for DKFo6P (letters refer to columns and numbers to rows). a The last column contains the formulas used for DKFo6P-SD (letters refer to columns and numbers to rows).